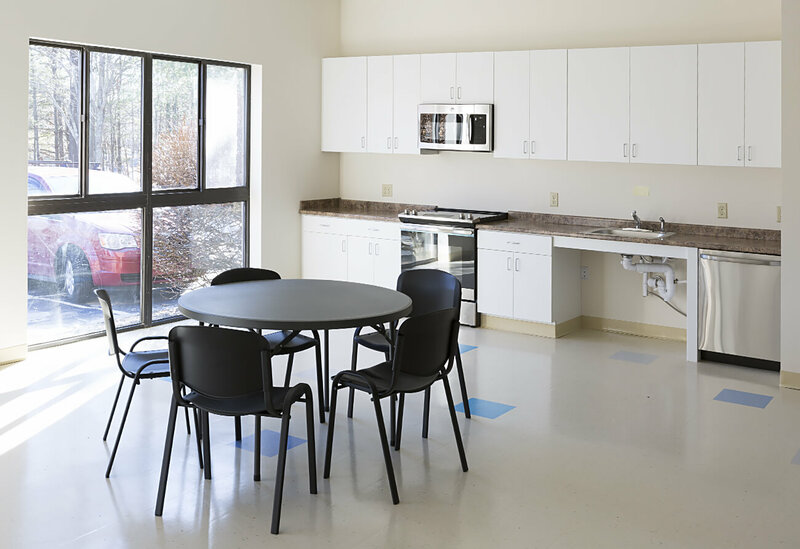 Built by Callahan/Hoffmann Company, Inc., Road to Responsibility in Norwell, MA provides a variety of services to help individuals achieve independent living. 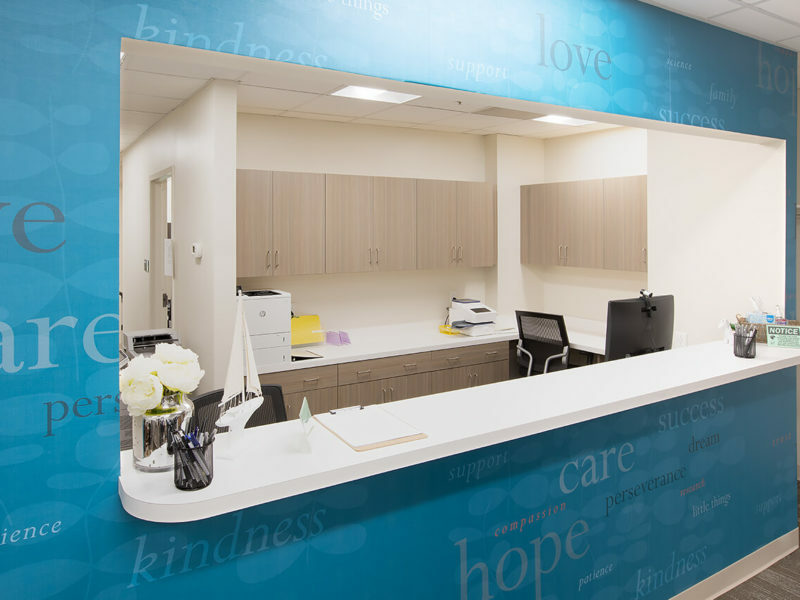 The facility offers person-centered day rehabilitation services, including occupational, speech, physical and behavior therapies. 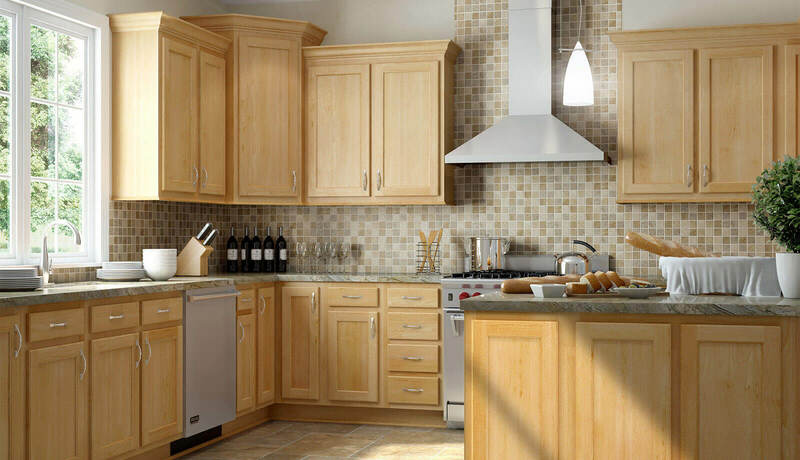 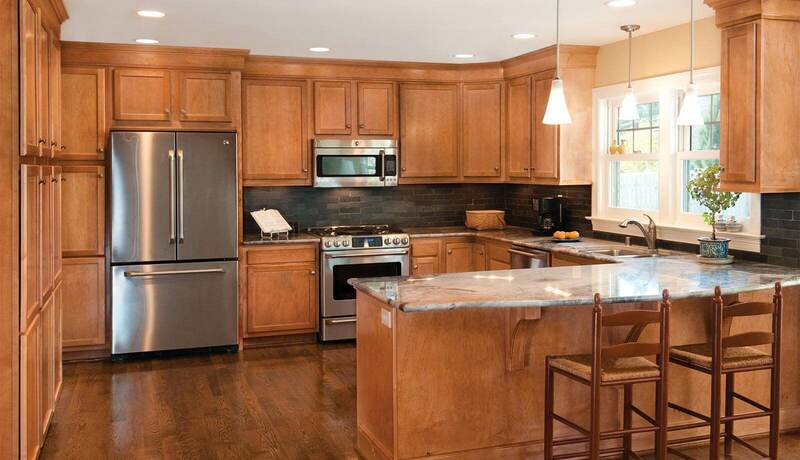 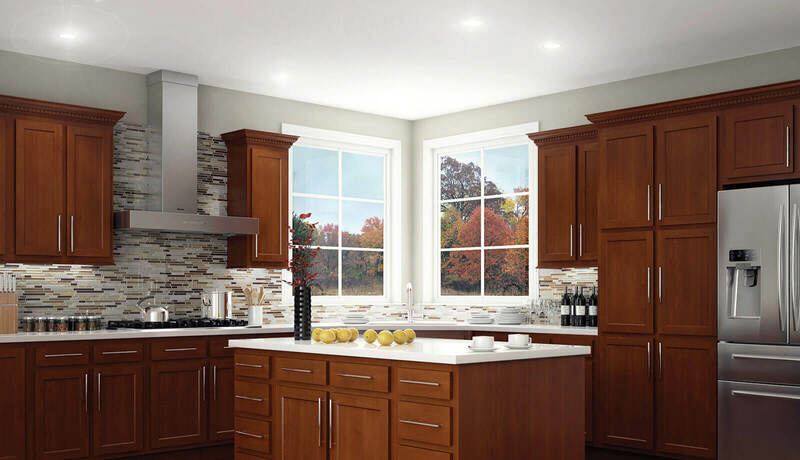 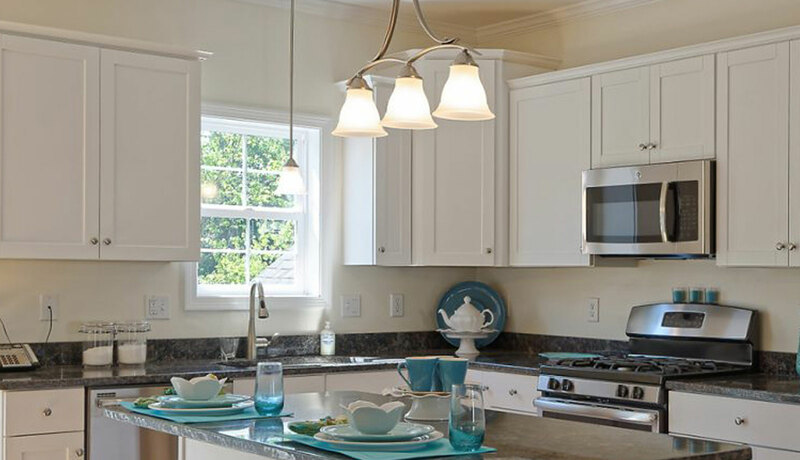 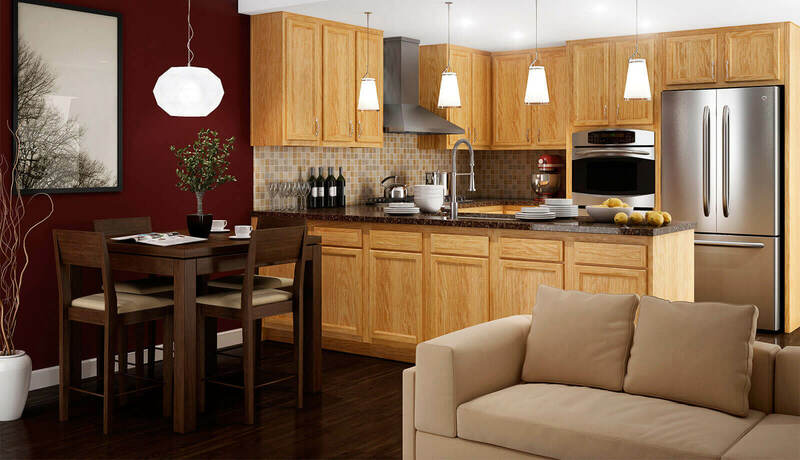 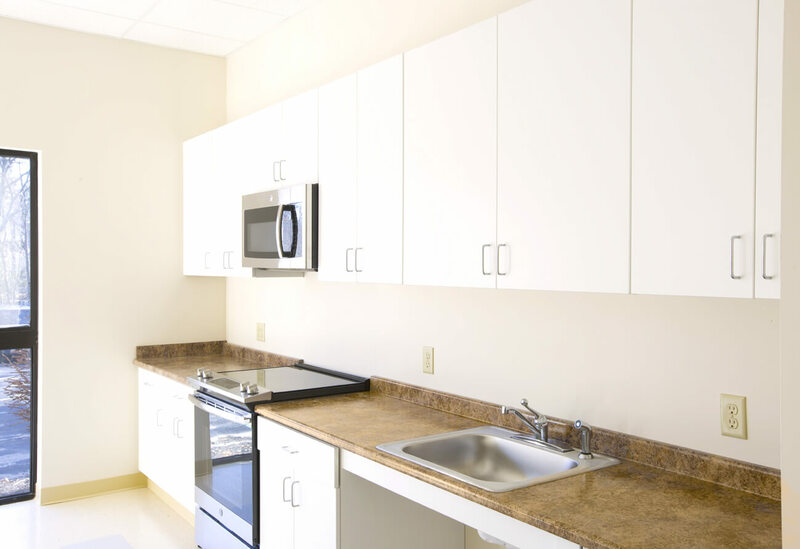 Viking Kitchens provides cabinetry, sinks, counters, and hardware for this facility. 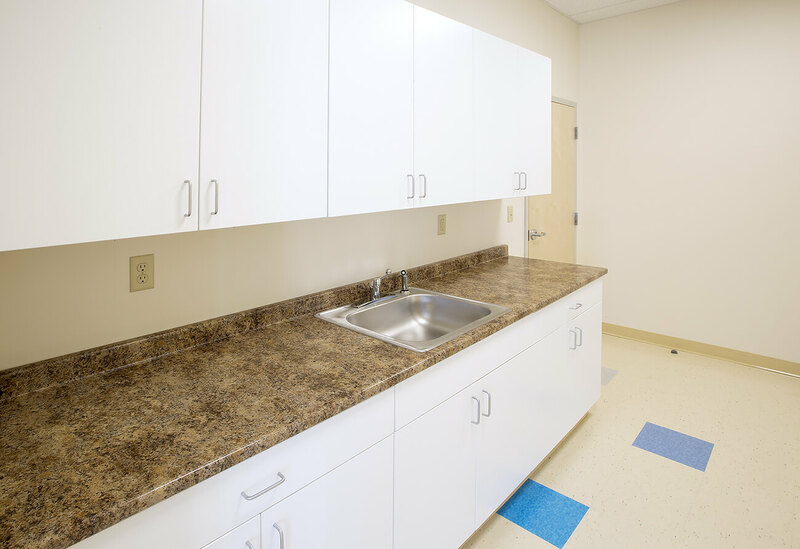 We completed design and furnish of a shared dining area, medical examination rooms, nurses stations, and restrooms. 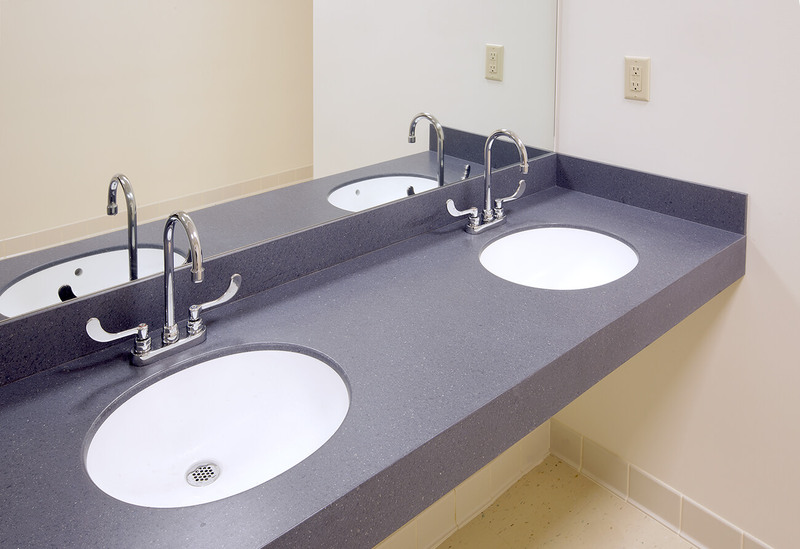 Our goal was to maximize utility and create comfortable work areas for staff and visitors. 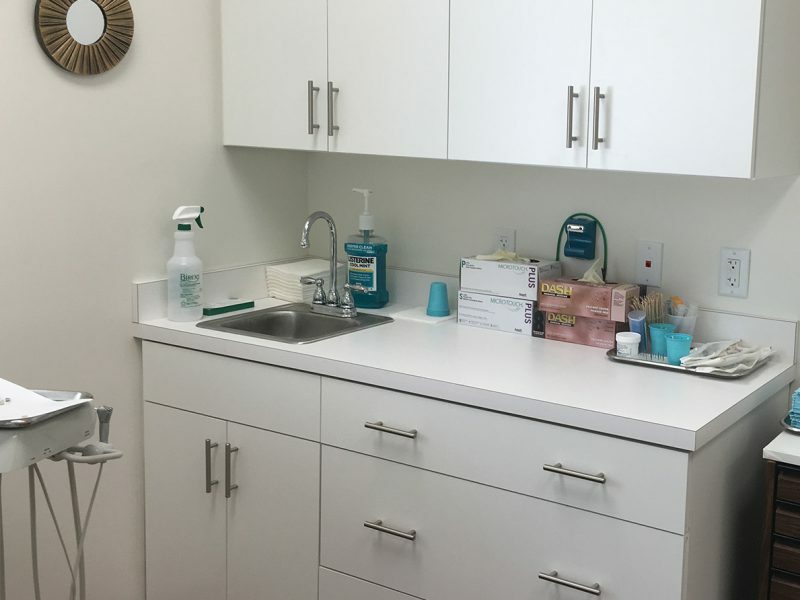 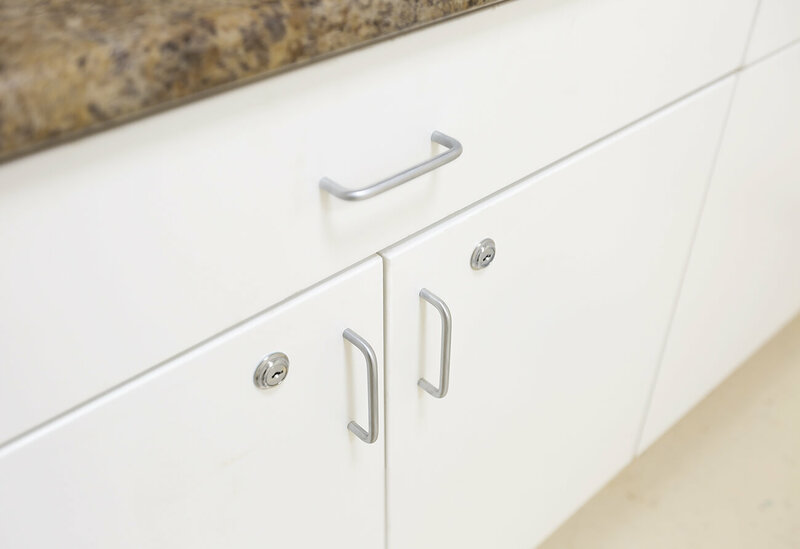 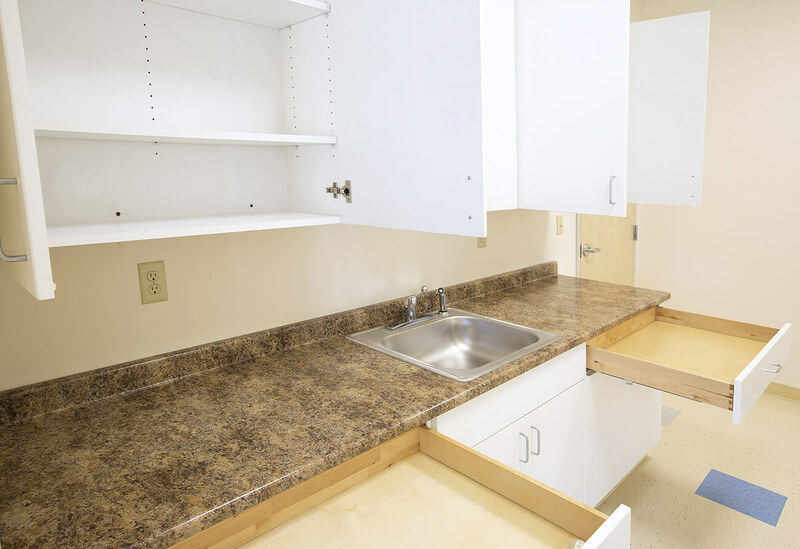 In the nurses stations, for example, we combined easy-to-access cabinets (Wolf Transition Prospect Coconut in Thermofoil White), and drawers that maximized available space, therefore providing ample storage space for medical supplies. 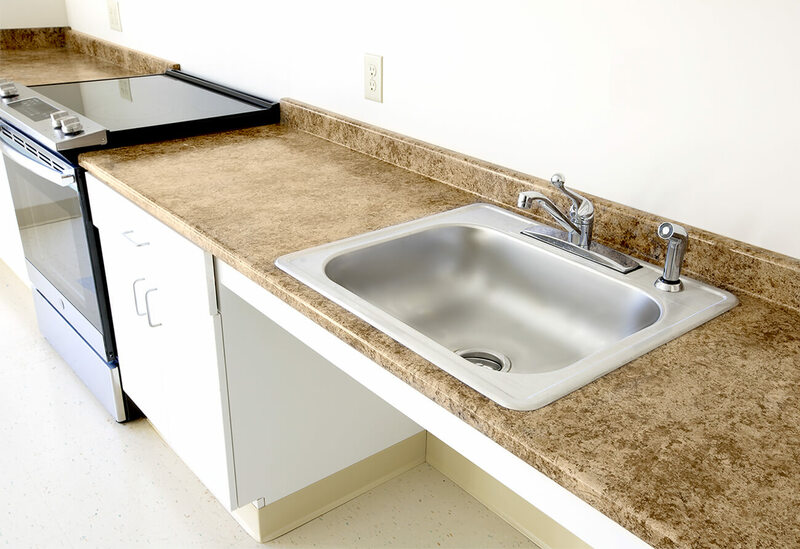 Counters are post form Formica in a warm Butter Rum Granite. 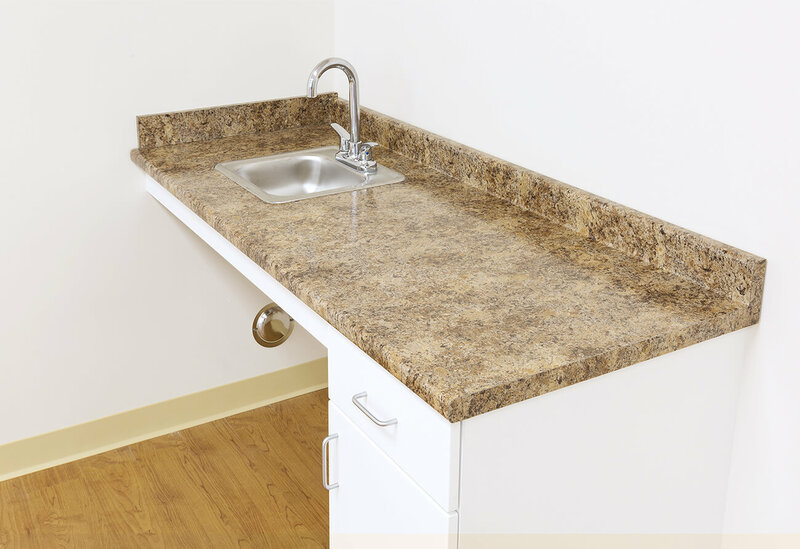 Bathroom surfaces are Corian with integral backsplash in Mineral. 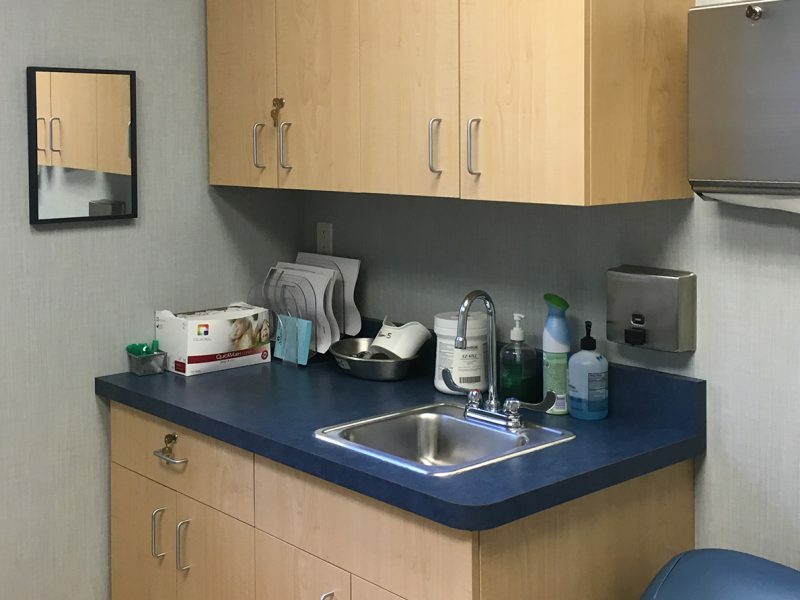 The overall design, while durable and stylish, offers a modern, yet warm and inviting, feel for this large clinical space.